What’s the difference between the types of tea? Which one has the most antioxidants and caffeine? Is there a risk of heavy metal contamination in tea from China? “Tea,” properly speaking, only refers to the leaves of the plant Camellia sinensis. The leaves can be prepared for brewing in a number of different ways: you’ve probably heard of green and black tea, but in fact, there’s a whole rainbow! The color the tea largely depends on how much it’s oxidized (this is sometimes called fermentation, but that’s incorrect: there are no bacteria involved, and tea is not a fermented food like sauerkraut or kefir). “Oxidized” might sound a little funny, considering that we usually see it in negative contexts (oxidized PUFA and oxidized cholesterol come to mind), and one of the main health benefits of tea is its antioxidants. But oxidation isn’t all bad, all the time. With tea leaves, it’s a kind of “cooking” that changes the color and texture of the raw leaves – and as you’ll see, even tea that’s been completely oxidized still has impressive antioxidant benefits. White tea is minimally processed. Some white teas are steamed to prevent oxidation; others aren’t, allowing the leaves to oxidize naturally. Tea gourmands praise it for its subtle flavor; critics counter that it tastes like nothing. Green tea is slightly more processed: it’s dried, rolled, and then heated to prevent oxidation. It’s commonly described as a “grassy” taste, but there are many different varieties, each with their own individual flavor. Oolong tea is an intermediate step on the way to black tea. It’s partially oxidized, and has a milder flavor than black. Black tea is the most “processed” of all the teas: the leaves are withered, rolled or crushed, and then oxidized for a longer period than green tea. This creates the distinctive flavor of black tea. Pu-erh tea starts as black tea, and is then put through a process called “post-fermentation:” unlike the oxidation reactions in the other type of tea, this does involve microorganisms and bacteria. This mellows the flavor and tones down the bitterness of black tea. Black and green are the two most common in the United States, but white is definitely gaining in popularity, and tea lovers will recognize oolong and pu-erh. If you live in China, you can also get yellow tea (made in a similar way to green tea), but it’s expensive and hard to get hold of anywhere else. Tea was used as a kind of herbal medicine before anyone figured out what antioxidants were, but now we can actually put a name and a face to its benefits. Unfortunately, most of the information you’ll read about the health benefits of tea is actually studying raw tea leaves, or purified extracts of tea (e.g. green tea extract). This does not necessarily represent what you’ll fine in the brew! To really get a good idea of the benefits of tea, you have to look at the brewed tea, not just the raw leaves. Another danger of tea studies is generalizing from rat studies to the cup in your hand. You can effectively prevent a rat from getting cancer by giving it high-dose green tea extract. But does that mean that you can prevent a human from getting cancer with a much lower dose in a cup of green tea? Not necessarily. Finally, you want to avoid population studies. These are surveys where researchers find an “association” between drinking tea and some positive sign of health, but they’re prone to all kinds of biases (you can read more about this here), and do not prove that the tea was the cause of the good health. This one studied cardiovascular disease. The authors concluded that black and green tea may have benefits for blood lipids and blood pressure. This one found that green tea extracts were almost useless for weight loss – no surprise, if you’re wise to the list of metabolism-boosting myths. This one found conflicting evidence for several different types of cancer: some studies found a benefit, but others didn’t. 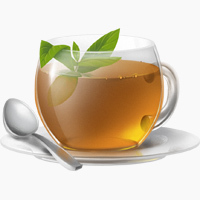 This paper suggested that antioxidants in tea could be protective against Alzheimer’s Disease. This study showed some promise for green tea in treating depression. This study suggested that green tea may work about as well as mouthwash for gingivitis. That’s a little less than the usual breathless recitation of benefits, but it’s still nothing to sneeze at. At worst, it has no adverse effects; at best, it’s beneficial in a number of interesting ways. Most of these benefits are typically ascribed either to the antioxidants or the caffeine in tea. So what kind of tea should you drink to get the most benefits? Read on to see which types of tea have the most antioxidants, which types have the most catechins (the antioxidants that make green tea so famous), and which have the most caffeine. The antioxidants in tea have been studied extensively, because many Americans get a huge percentage of their daily antioxidants from tea and coffee. Since so few people actually eat enough vegetables, these beverages are a very important antioxidant source from a population perspective. On Paleo, they’re a little less critical (since you are eating enough vegetables), but they’re still healthy. In particular, the catechins associated with green tea are often praised as the height of antioxidant power. But is green tea really so much higher in catechins than anything else? You might have heard various generalizations about black, green, and other teas regarding their antioxidant content – most commonly the rule of thumb that green or white tea has the most antioxidants, followed by black, then everything else. But in fact, the variation within a certain type can often be greater than the variation from type to type. 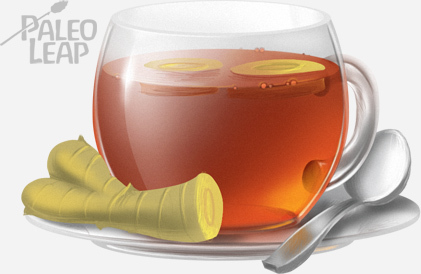 Tea Type Total flavonoids per cup* Of the flavonoids, how many are catechins? *a “cup” for this article is 8 ounces (236mL), even though most people drink more tea than that. For comparison, a grande at Starbucks is 16 ounces. From this, we can see: that variation over a fairly wide range is the norm. It’s meaningless to generalize about “black tea vs. green tea.” It would easily be possible to brew a cup of black tea with more total catechins than green tea – and catechins are supposedly what make green tea so healthy! Stirring around or dunking the teabag. The upshot is that no one brand of tea definitively beats out the others for antioxidant content. Green tea is very slightly ahead on average for catechins, but it’s really more of a toss-up than anything else. So to get the antioxidant benefits, any type is equally good. Aside from its purported health benefits, many people just drink tea because it “wakes them up:” that’s mainly the benefit of the caffeine, but tea also contains several other stimulants, including theanine and theobromine. Caffeine is a little borderline from a health perspective: too much can be very unhealthy, but in small amounts it’s actually an antioxidant in its own right, and it may be one reason why coffee and tea consumption are associated with lower risk of death across the board. 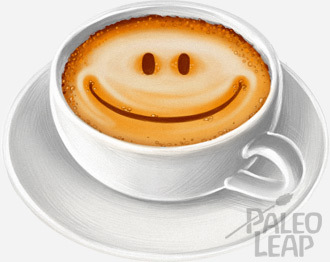 The consensus seems to be that, at a moderate level of consumption, caffeine is harmless or even beneficial. Again, notice how you can’t generalize about any one type of tea. Black tea does not necessarily have the most caffeine. In fact, white tea had the highest measured caffeine content of all, and the ranges are huge. Like the antioxidant content, caffeine content was increased by using hotter water, stirring the bag around in the tea, steeping the tea for longer, and using loose-leaf tea compared to a teabag. The caffeine in tea is especially interesting, because it works in synergy with several other stimulants. For example, tea also contains an amino acid called theanine, which is a mild stimulant and also helps to prevent that “wired up” feeling from drinking too much caffeine. In this study, for example, the combination of caffeine + theanine improved cognitive performance more than either one alone. Other stimulants include theobromine (which tends to be highest in black tea especially). This is a great example of how the elements of whole foods work together, and the result is more than simply the sum of its parts. Again, the conclusion to draw from this is that the stimulant effect of tea is not based on the tea type. Black tea may or may not be more stimulating than anything else; it all depends on your particular brand. A small but interesting fringe benefit of tea is its mineral content. In this study, approximately four cups of tea was enough to provide you with small amounts of calcium, magnesium, potassium, and phosphorus. None of these minerals reached really impressive levels (there was nothing higher than 5% of the RDA), but they’re always nice to have. Ultimately, that depends on your personal tastes and caffeine tolerance. There is no definitive “best” type. Without testing the particular batch of tea that’s going into your cup, you can’t really know how much of anything it contains outside a very broad range. Drink the kind you find tastiest, and don’t choke down one you hate just for the sake of some mythical “superiority” in antioxidants of caffeine. It’s great to learn about the benefits of tea, but it’s also important to consider the downsides. Specifically, tea has often been found to contain toxic heavy metals like fluoride or lead. Most tea is grown in China, where coal-burning power plants still supply the majority of energy, and the pollution from the coal contaminates the soil and anything that grows in it. So how concerning is this for tea specifically? Fluoride is a metal that you need in very small amounts, but an overdose quickly becomes dangerous. Unfortunately, the tea plant is very good at sucking up fluoride from the soil, leading many people to fear that they’re getting fluoride poisoning from their tea. It’s true that tea does contain some fluoride. But in this study, researchers found that even the tea highest in fluoride didn’t pose a significant risk unless subjects drank two or more gallons of it a day for 10 years. And that just doesn’t provide serious grounds for concern at a normal level of tea intake. After steeping for 3-4 minutes, there were only 2 teas with unsafe concentrations of anything at all (both for aluminum). Steeping for 15 minutes substantially increased the content of all the metals. There were no significant differences between organic and regular tea – in fact, sometimes the organic teas were more contaminated. Teas from China were most likely to be contaminated; teas from Japan and India had lower levels of everything. The authors wrote a very alarmist conclusion to the paper, but their results just don’t support the nearly hysterical tone of warning. Yes, you can detect minute concentrations of arsenic and cadmium in tea, but they don’t exceed even the most stringent safety levels, even if you drink a liter of tea every day. There doesn’t seem to be any real cause for concern here, especially if you steep your tea for a normal amount of time (which most people do anyway, since steeping for 15 minutes makes the tea very bitter and unpalatable). The bottom line: this paper doesn’t suggest any need to stress out about toxins in tea. Conclusion: To Tea or Not To Tea? Tea may have some health benefits, especially for blood lipids and blood pressure. Tea contains antioxidants, although there’s no significant variation among types. Tea also contains caffeine and other stimulants, again, with no significant variation among types. Studies so far have shown no reason to be afraid of fluoride or heavy metal contamination at normal consumption levels. So should you drink it or not? On this one, the best guide is to follow your own preferences. If you like the energy boost from the caffeine and other stimulants, drink it. If you like the taste, drink it. If you want an interesting substitute for plain water or coffee, drink it. If the ritual of tea-drinking helps bring a little calm to your day, refreshes your mind, or comforts you when times get tough, drink it. On the other hand, if you hate tea, or get jittery from the caffeine, don’t drink it! You’re not missing out on some mystical set of health benefits only available to dedicated green-tea devotees. Ultimately, tea is an optional food: drink it for pleasure if you like, but don’t force it down if you don’t.